Link-building is the SEO activity you can’t afford to ignore. But it’s also the one activity that’s hardest to get down. In determining your website’s search rankings, Google looks at the backlinks on other website that are pointing to yours. If you have links from well-known authoritative sites, your website goes up on Google search. The reason link-building is such an obstacle for many website owners is because a lot of it seemingly depends on luck. Getting authoritative sites to link back to you is challenging if you’re not a well known figure yourself. That’s why so many business owners ultimately decide to hire an internet marketing company to provide SEO services. 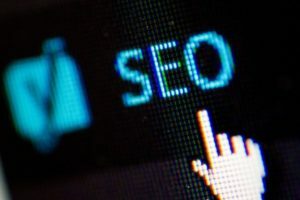 SEO agencies have established connections and methods for acquiring backlinks in a scalable way. Ultimately, the way to maximize your search ranking is by creating a diverse backlink profile. That means getting lots of different kinds of links from lots of different sites. A successful link-building approach mimicks virality. When a high quality piece of content goes viral, people share it abundantly on diverse platforms. They tweet it out. They quote it on their blog. If you want to tell Google that your site is important and worth ranking highly, you need to show it that people are talking about and sharing your content all over the web. Thus, a winning SEO strategy involves link-building across a wide spectrum of platforms. We’ve summed it all up in this convenient list. Here are the 5 types of backlinks you need to raise your search engine rankings. These are links embedded within the content of an authoritative blog in your own industry. Let’s say you’re a dentist. In this case, scoring a link from the American Dental Association Blog would be a home run for you. To get these kinds of links, you have to give these blog owners a reason to link to you. They’re not in the business of linking just to do people favors. 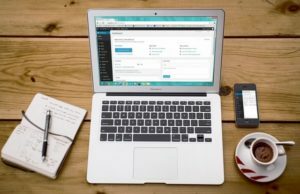 The key is to create high quality content–such as in-depth blog posts, infographics, or videos–and then let these website owners know about it. 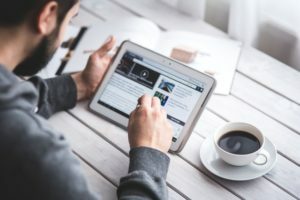 If your content is something that supports what they’re writing about, they may decide to use it to further make their point and to provide their readers with a useful resource. That’s when they link to you. Another way to get links on top industry sites is to guest post on them. Guest-posting is when you write an article for the site you want a backlink from. You put some links to your site in the content you write. When they publish your article, you now have a live link on your hands! Of course, when you guest post you should always follow the guide lines set by the blog owner. You have to make something of value. If you look like all you want are backlinks, you’ll be sidelined. If you want an easier way to build backlinks without doing a lot of email outreach, use private blog networks (PBNs). These are networks of blogs built for the specific purpose of strengthening your website. PBN sites are made on domains that have a lot of SEO value. The link-building works similarly to guest posting, in that your link is placed in the body of a blog post. The difference is that with a PBN, you have full control over the link. You decide how many backlinks there are and what anchor text you use. PBN backlinks aren’t as strong as links from an authoritative industry site, but they do boost your rankings if you get a lot of them. Just make sure not to make too many too fast, or you give suspicious signals to Google that can penalize instead of help you. Backlinks that come from .gov and .edu sites are very good for SEO. The reason is that not everyone qualifies for .edu or .gov. Thus, a site ending in .gov or .edu must be authoritative. How do you get a link on these sites? Offer a scholarship and let local universities know so they can link back to you. Collaborate with university faculty so that you’re featured on the school’s “News” page. Reach out to students who run blogs built into the school website. Create a profile page on university website forums. Getting .edu backlinks from colleges is an SEO secret weapon that you definitely want in your arsenal! When Google sees a major news source like Fox or Forbes linking to you, it knows you mean business. The way to get the most out of news sites is through the long-term approach: cultivate relationships with journalists so that the quote and feature you in their articles. It’s a matter of networking. Write and submit a press release. Many news outlets publish press releases on a public area of their site. Simply embed relevant links into your press release and voila! You’re on a news site. (Note: Ket-Go Digital Media offers press release services. We can get you on 500 major news sites like Fox and Miami Herald. Contact Us for more info). Web 2.0 refers to sites that consist of user-generated content. There are countless platforms, but the most prominent are Tumblr, Blogger, and WordPress.com. Links from Web 2.0 platforms aren’t very powerful individually. You need a lot of them to see results. But collectively they give you a real edge. Web 2.0 links are key in mirroring the effects of virality. By building them, you tell Google that your content is interesting enough for people on all these platforms to be talking about it. To leverage Web 2.0 links, create accounts on the Web 2.0 sites. Flesh them out with content relevant to your niche. then, in the body of that content, embed your backlinks. 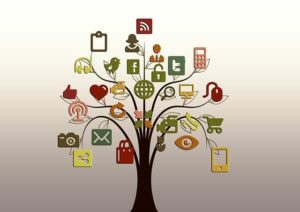 There are myriad social media sites on the web. Facebook, Twitter, Reddit, LinkedIn. Take your pick. The same principle with Web 2.0 platforms applies to social media. Google reads activity featuring your brand as indicative of your site’s importance. They’re called social signals. Again, numbers are what count. Create noise by getting hundreds or thousands of post shares, comments, and likes. A diverse link profile is key to securing high search engine rankings. Your SEO strategy should incorporate these five types of backlinks. Continually add new links every month to stay on top of the SERPS. If you want a hands-off, done-for-you SEO service, get in touch with us. We can develop a link-building SEO plan that fits the needs of your business. 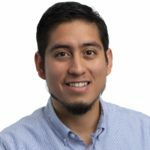 Luis Antonio Miguel serves as Digital Media Manager at Ket-Go. He oversees accounts in our SEO, content marketing, web design, and translation departments. Great article, (little long to read in between office’s tasks), but tips on getting back-links are great!